If you’re too far south for a trip along all of the Great Tropical Drive, never fear! The beaches of Yeppoon are just as dazzling, and there are countless fascinating attractions waiting to be explored. In the Mount Jim Crow National Park, visit the impressive 221-metre tall Mount Jim Crow, the ancient remains of a long-extinct volcano, and enjoy the view over the surrounding countryside. The area is home to multiple volcanic plugs – known collectively as the Mount Hedlow trachyte plugs – with special significance to the Darumbal Aboriginal people. 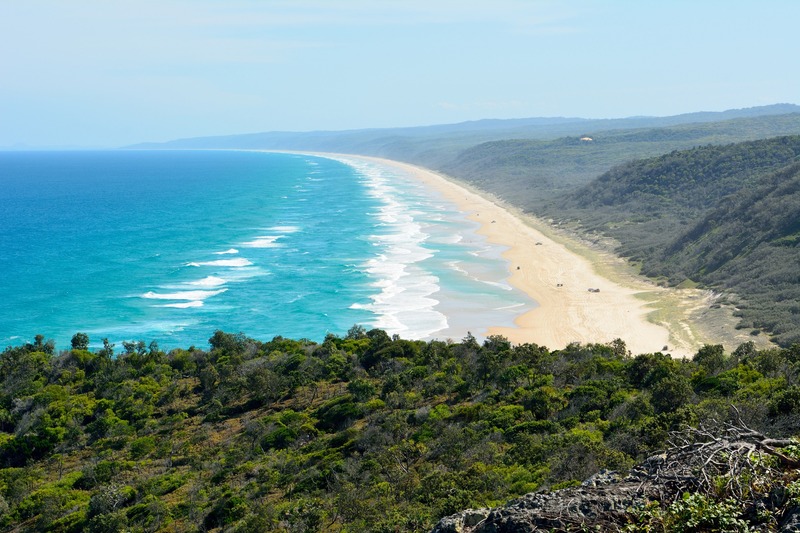 Go walking or picnicking around the impressive natural monuments, before making your way south to Rockhampton one of Queensland’s best-loved heritage cities. Take a breath of fresh air at the heritage-listed Rockhampton Botanic Gardens, where you can stroll under bamboo canopies, explore the Japanese Garden, see more colours than you’ve ever dreamed of at the Tropical Fruit Arboretum or take the kids to the adjoining zoo. Entry to both gardens and zoo is free, and it’s sure to keep the kids entertained while you soak up the sunshine. Continue exploring at the Rockhampton Historical Village, where history comes to life in an 11-hectare display village that includes a range of both original and reproduction buildings. There’s a school, a fire station, a woolshed and even a hall of clocks waiting to be explored. Just 30 minutes away from Rockhampton, visit the world-famous Capricorn Caves for an unforgettable underground adventure. The rocks that now make up the famous caves began forming under the sea about 390 million years ago, when layers of coral, limestone, and volcanic material began accumulating. After a series of volcanic eruptions and plate movements, the layers of limestone and sediment were lifted to the ocean’s surface to become land. Acidic rain and underground water flow then bored into the ancient sedimentary rocks, turning them into the impressive caves that we see today. Visitors can see marine fossils and Indigenous history, and take part in adventure tours and climbs, all while learning about the fascinating history of the caves and surrounding area.